RN Constitutional Advocate Farea Al Muslimi and Laura Kasinof in Foreign Policy: Can Yemen Talk Its Way to Peace? RN Constitutional Advocate Farea Al Muslimi and Laura Kasinof describe the prospects of the National Yemeni Dialog in an article for Foreign Policy, March 22, 2013. 1. Farea Al-Muslimi & Laura Kasinof, Can Yemen Talk Its Way to Peace?, Foreign Policy, 2013, Link (last visited Apr 9, 2013). 2. 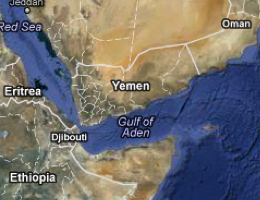 David W. Alley & Abdulghani Al-Iryani, A difficult road ahead for Yemen’s political transition Foreign Policy Blogs (2011), Link (last visited Apr 9, 2013). 3. Casey L. Coombs, The Security Council in Yemen: Strong Commitment, Limited Leverage, International Relations And Security Network, March 14, 2013, Link (last visited Apr 9, 2013). 4. United Nations Department of Political Affairs, Political Transition in Yemen: A Step toward Peace, March, 2012, Link (last visited Apr 9, 2013). 5. Yemen’s Saleh agrees to transfer power, November 24, 2011, Link (last visited Apr 9, 2013). 1. Yemen Cabinet approves immunity law for president, The Jordan Times, January 8, 2012, Link (last visited May 19, 2012). 1. Shamiri, Nageeb, and Anna Würth. Yemen: A Burgeoning Democracy on the Arab Peninsula? In Constitutionalism in Islamic Countries: Between Upheaval and Continuity, ed. Grote, Rainer and Röder, Tilmann J. 2011-10.